Congratulations to Grace Boatright who was recently appointed as the Legislative Director for National Grange and look forward to working with her. She has been a staff member with National Grange since 2010 and has worked extensively in the legislative affairs of the Grange. Boatright grew up near Austin, Texas and knows first-hand the challenges of rural life. Prior to working for the Grange she worked for the Sargent-at-Arms of the Texas State Senate. Following her appointment, Boatright sent out an email to the State Legislative Directors outlining some of her plans for the Legislative Department. She plans installing “a rigorous grassroots advocacy campaign through an updated Action Alert system.” She is working on the details but plans on making it easier for Grangers to contact their National Representatives. One idea is to utilize the Grange webpages to link to their Grangers representatives’ webpage. Boatright would also like to see the State Granges to get more involved with state legislatures. She had offered to work with the State Granges to write letters, make phone calls, or encourage Grangers to go to their State Capitols. She also plans on reviewing the current legislative publications attempting to simplify and make them more user friendly. We in Connecticut do have a good working relationship with our State Legislators at the Capitol but more involvement by Grangers would increase our visibility. We annually publish the State Grange Legislative Policy Guide and send copies to all of the General Assembly members. Gordon Gibson spends many hours at the Capitol in Hartford during Legislative Session representing the State Grange and conveying our opinions on various bills that affect rural Connecticut. This does not have to be our only means of communication for the Granges. Don’t be afraid to have your Grange contact your local Representatives or Senators, or call them yourself, when you have an issue you wish to discuss with them. Invite them to attend a meeting and invited local residents to discuss issues. Feedback from members is important for the Grange, both National and State, to communicate the concerns of its members. Boatright is looking for feedback from Grange members with comments, suggestions and other ideas. Our State Grange Legislative Committee is also looking for feedback at well. One of the best ways is through your resolutions to State Grange. We recently held resolution writing workshops to assist in composing resolutions. The few members who did attend seemed to feel that they were very informative. The information that was provided in these workshops is available on the web. Included is a template for writing resolutions. 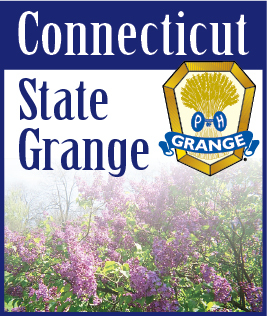 Go to http://www.ctstategrange.org select Grange Information from the left menu and Downloads. At the Select Category drop box select Legislative. There are three versions of the Resolution Writing Template, MAC, Word, and PDF. Included on that page is also a How to Write a Resolution Flyer that you can print out. Remember that all resolutions should be sent to your Pomona Granges before sending them on to the State Grange. All resolutions for this upcoming session should be sent to the State Grange office prior to September 15th.